Preparation for secondary education: The CIPP is excellent preparation for the next phase in a student’s education and progresses students seamlessly into middle year curriculum and IGCSE. We provide excellent services to help the students in this phase cruise into the next phase with ease. External Benchmark: The primary program provides teachers with an external benchmark to inform their teaching and easily measure student’s progress overtime. It also allows detailed, structured reporting to parents. We provide excellent services to help the students. International Curriculum: The primary program is appropriate and relevant internationally and has been designed to be culturally sensitive. It includes top quality teaching and assessment resources involving appropriate contexts for teaching and learning in international schools. The Oxford School is based on the English National Curriculum (adapted to local requirements) and Cambridge Pathway for students aged 5-19. This curriculum allows students to move easily into all the educational systems and is used by international schools around the world.The School is an accredited Cambridge International Examination and Edexcel Center and prepares students for the Cambridge IGCSE’s and AS/A2 . Students up to year nine follow a broad and balanced curriculum, which includes all major subjects, extra-curricular activities and sports. The Oxford School uses a wide selection of educational books and materials from the United Kingdom to meet the needs of children of varying abilities and from different cultures. Class size is usually about twenty-five students. The Oxford School is a registered member of the Cambridge International Primary Programme which gives school a framework to develop Mathematics, English and Science skills and knowledge in young children. The Primary Curriculum framework identifies a comprehensive set of learning objectives for the three key subjects for each year of primary education. It provides a natural progression through six stages of primary education from Stage 1 when children first enter primary education (at about age 5) to Stage 6 when they usually move on to secondary education (at about age 11). 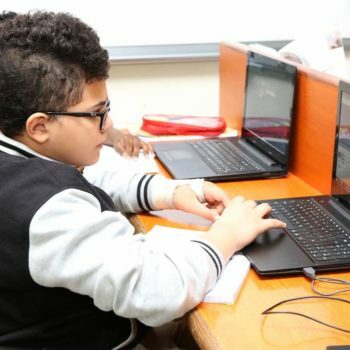 The program allows teachers to follow the progress of their students over time and analyze performance within their classes and against an external benchmark. It consists of Year group 1 & 2 for students of 5 to 7 years of age. 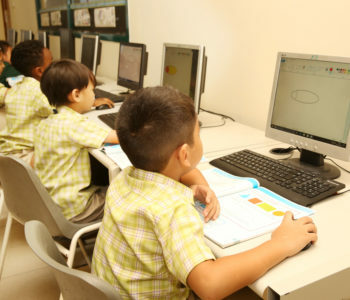 Students in Key Stage 1 are introduced to foundations in reading, writing, science, mathematics and information and communications technology (ICT) through a system of practical applications, supported by a positive and stimulating learning environment.Children learn best when they actively participate in the learning process. Learning through structured play and a regular program of field trips forms an integral part of the Key Stage 1 curriculum. Students in the age group between the age of 14 to 16, come under this category. At the end of Year 11, students appear for the IGCSE Examination after thorough preparations. Other than the subjects offered for Cambridge Board IGSCE Exams, this is for the learners who fall in the year group 14 to 16. At the end of Year 11, students appear for the IGCSE Examination. A wide range of teaching and learning resources are used at this level. According to the rules of the U.A.E Ministry of Education students in Grade Twelve / Thirteen must study and pass an examination in Arabic Language and all Muslim students must study and pass an examination in Islamic Education if they want to pursue their further studies in the U.A.E. (Separate courses for Arabic and Non-Arab students). Moral Education is Compulsory for AS and A levels .